The Royal Canadian Mint MintChip Challenge invites software developers to create innovative digital payment applications using MintChip, a R&D phase technology available only to challenge participants. Developers and the public are also encouraged to share ideas for how a digital currency can be used. Winners will receive approximately $50,000 in gold from the Mint as well as promotional exposure. Prizes will be awarded for the apps that best demonstrate the potential value of the MintChip technology and have the greatest potential impact on digital payment technology. Submitted apps can run on Android, BlackBerry, iOS, Windows or desktop and mobile browsers. The Mint will provide participating developers with a software developement kit (SDK), two microSD MintChips, and two remote MintChip accounts they can use to integrate the Mint’s technology with their digital payment applications. The public and developers have approximately four months to share ideas and build their submissions. A panel of distinguished judges from the tech, venture capital, media, and retailer industries will select winners, and the general public will vote to identify a “Popular Choice” winner. 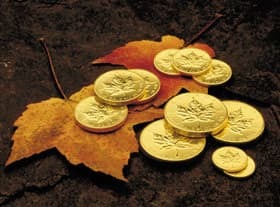 ChallengePost.com est un site tiers spécialisé qui ne relève pas de l’autorité de la Monnaie royale canadienne et fonctionne uniquement en anglais. Néanmoins, dans la mesure du possible, la Monnaie royale canadienne a tenu à offrir la majeure partie de l'information liée au concours dans les deux langues officielles du Canada d'une manière ou d'une autre. Ainsi, les informations de cette page d'accueil sont les mêmes qui figurent en français dans ce site Web en cliquant l’onglet « Rules » et le lien http://developer.mintchipchallenge.com en bas de page dans l’onglet « Resources ». On MintChipChallenge.com, click Accept this challenge to indicate your interest in participating. This step ensures that you will receive important challenge updates. Follow step 3 to register and receive a developer kit. Between 10 a.m. ET on April 4, 2012 and 5 p.m. ET on July 18, 2012, register for access to the MintChip technology by completing the form on the Register to Participate tab. Once your completed registration is received, you will be provided with a software development kit, two microSD MintChips and access to two remote MintChip accounts. The Competition is limited to 500 approved participants. Please Note: Due to a very high level of interest, we are no longer accepting registrations for the MintChip Challenge. Chief Marketing Officer, Maintenance Assistant Inc.